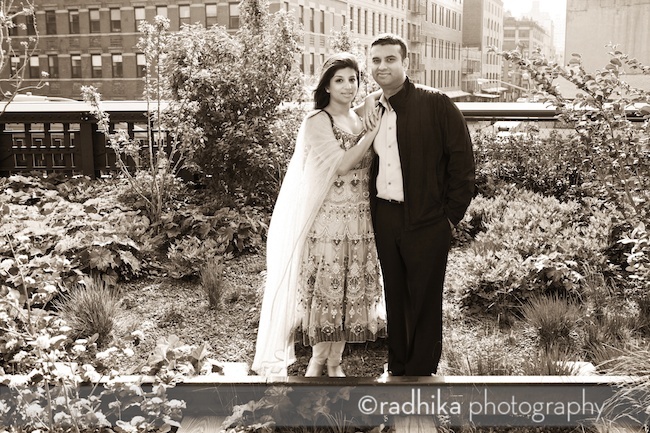 I wanted to post a few more photos from Neha and Ranjit’s engagement session from taken on the Highline and in Times Square. 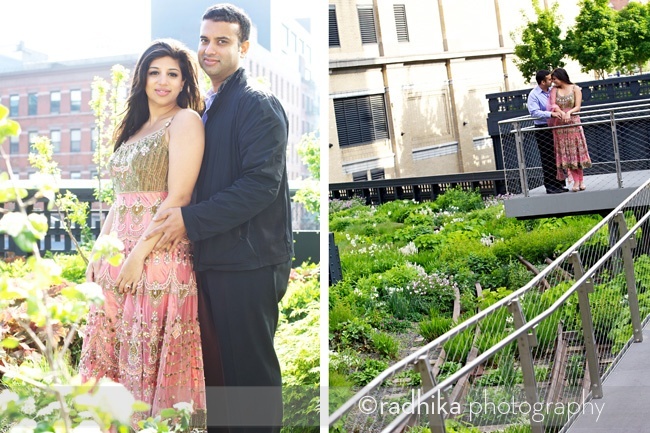 I think I only managed to convince them to do an early morning shoot on the Highline because it was close to Ranjit’s apartment, but it was well worth it. By 8:30am when we were finishing up it was already crowded. The thought bubbles made us laugh so we had to use them in a photo. I loved the changes in light that happen in the morning from that soft early light to cloud cover, to strong contrasty light. Then there’s the crazy neon lights of Times Square at the end of the day.